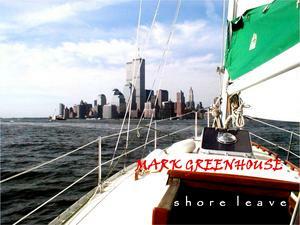 Mark Greenhouse releases his solo debut Shore Leave on Vanity Music. Self-described as "a diary from dangerous places", there is a careful construct of naivete, adventure, experience and conclusion - a close friend of Mark's calls his music "songs for adults". Staged on a broad set from spare-production vocals and guitar to the ethereal "Caroline", with Han Ro on violin, Don Stapleson on English horn and John Previty on double bass to the full band featuring Steuart Smith on guitars, Mark's subjects share a kinship with other careful observers: Jackson Browne, Roseanne Cash and Joni Mitchell. Mark joins labelmates Dave Allen, Charlie Barnett, The Cultevaders, Downtown, Teresa Gunn Group, Tommy Lepson, Junior Cline, The Magnetics, Joe Morra, The NewKeys, and Random Samples. Vanity Music Company launches the music publishing company Heart of Glass Music (ASCAP).